Hello ghosts and ghouls! Are you ready for a hauntingly fun Halloween? 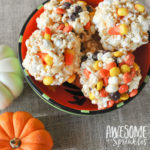 I have the cutest, ahem, I mean “spookiest” treat for you today! 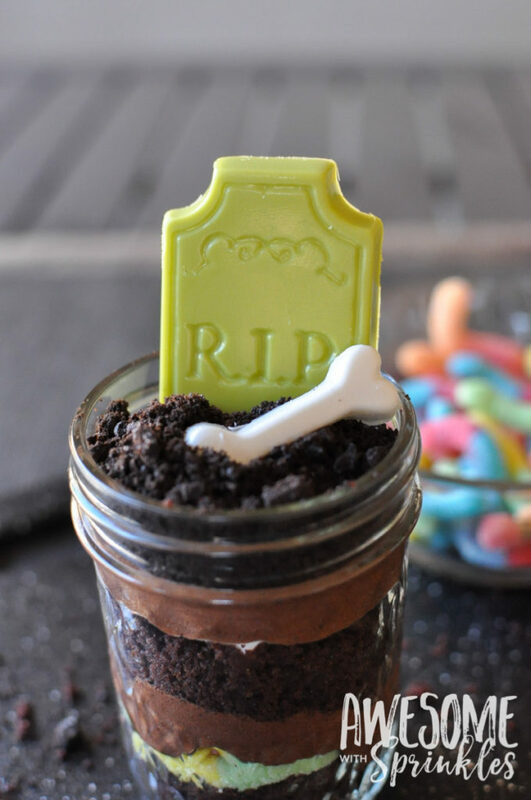 I am so excited to share these Ghostly Graveyard pudding dirt cups with you! Oh my gosh you guys, these bring back the memories! 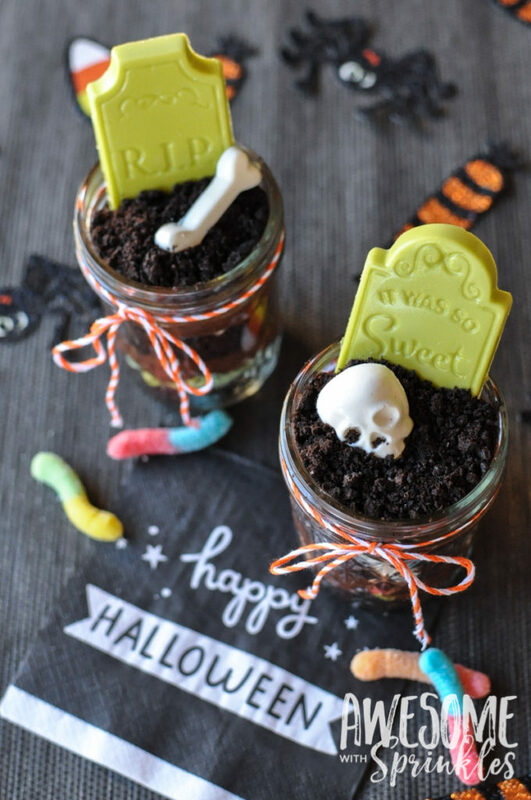 My mamma used to make “dirt cups” for my elementary school class every Halloween! If you were a child of the 90’s you might be familiar with this particular treat! 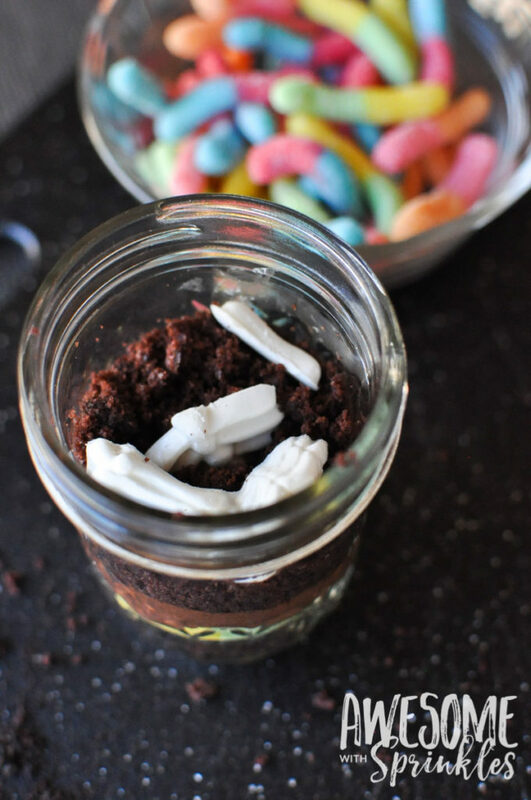 Chocolate pudding “mud” sprinkled with crushed cookie “dirt” and topped with a few gummy worms, all served in a festive Halloween themed dixie cup. Sound familiar? Love it! 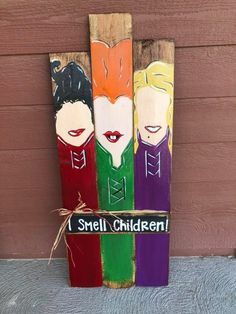 So I thought, how much fun would it be to take something that was so loved during my childhood and sprinkle a little awesome on it! So these cute spooky graveyards were born out of the memory of the “dirt cups” of days past. 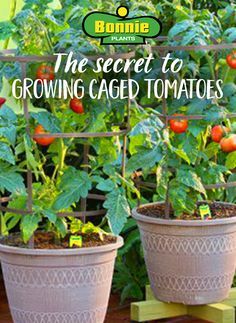 Let me tell you…they are even better! 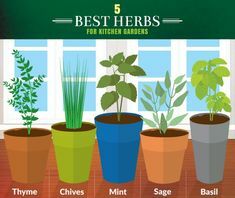 And they are just as easy to make as their predecessors. 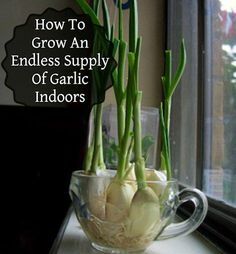 Start by gathering your supplies and decorating materials (full list in recipe below). 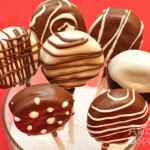 We tossed the cupcakes in the oven and go to work on our candy melts so that they had time to cool and set up. 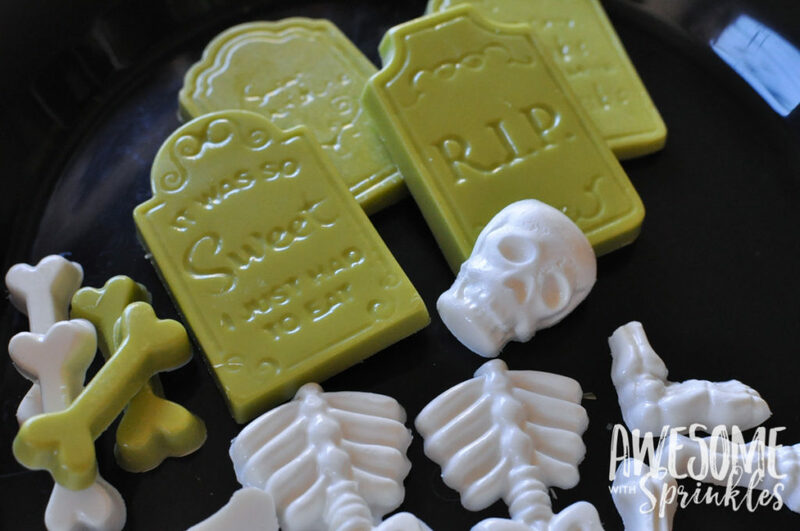 We found these awesome candy molds in the shape of bones and tombstones that we used for the decor. We just melted some candy melts and poured them into the molds. How great do they look! While we waited for the candy melts to set we whipped up the chocolate mousse frosting and let it cool in the fridge while we crushed our cookies. We used Oreo cookies, but we removed the frosting from the middle so that our cookie crumbs didn’t get “muddy” from all the frosting. But that is also a fun look if that’s what you are going for. Now that everything is cooled and set we are ready to start building our Ghostly Graveyards…or should I say GraveJARS! We subbed traditional chocolate pudding for a pudding mousse and added crumbled chocolate cake to give it some substance (think deconstructed cupcake!). 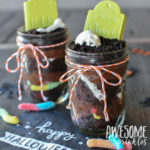 We also swapped out that old Dixie cup for a mason jelly jar so you can see all of the yummy layers! 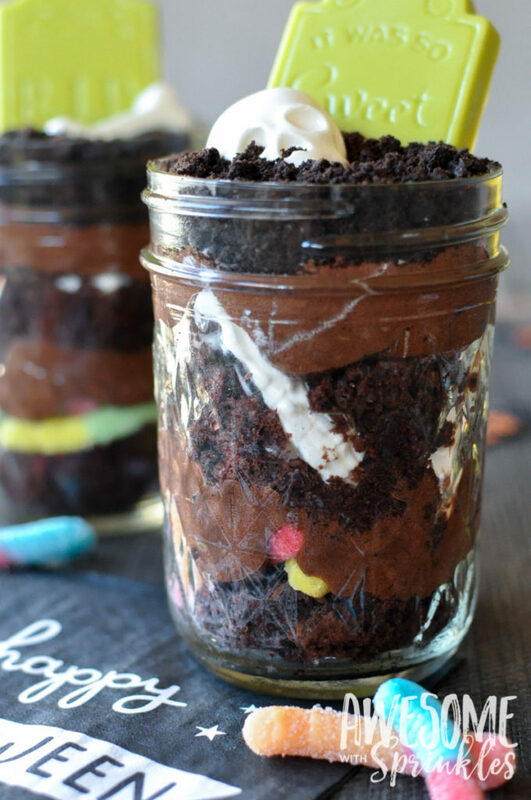 We found that filling our jars in the following order worked the best to maximize the layer effect (without everything getting all smooshed together): Chocolate cake + gummy worms + chocolate mousse – repeat once – and top the final layer of chocolate mousse with the crushed cookie crumbs. This chocolate mousse though…I could eat the whole darn pipping bag. Straight into my mouth. No regrets. 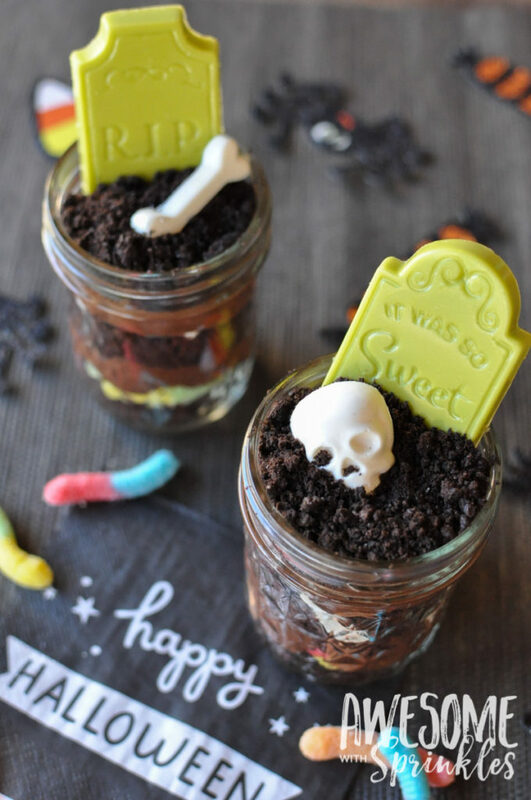 We tucked away some skeleton bones in our top cake layer (instead of worms) for a spooky surprise for the wee little gravediggers who would be snacking on these. 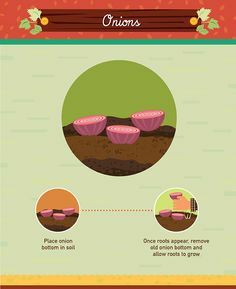 You can keep your graveyard treasures a surprise by hiding them in the dirt or pushing them up to the side of the jar to allow a few to peek through. Look at dem bones! Add tombstone and more bones on top to complete the look! 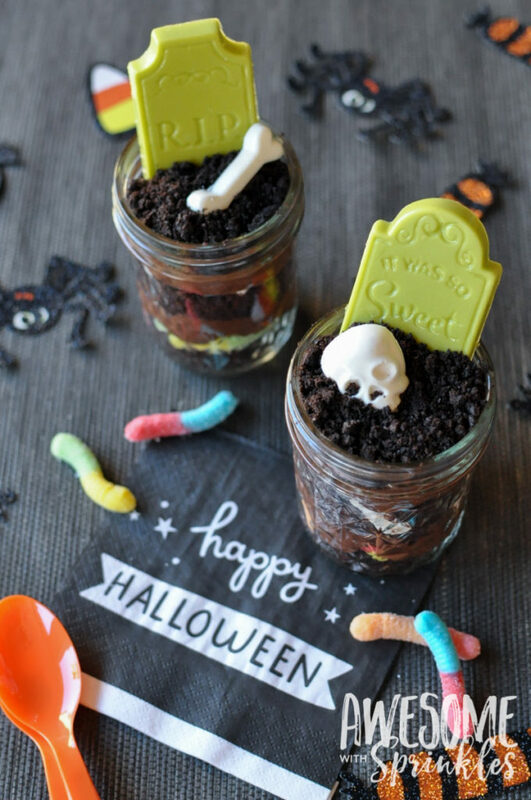 Ah, I just love how these Graveyard pudding dirt cups turned out! Travel Tip: You can use the lids that come with the jelly jars for transporting your graveyards. 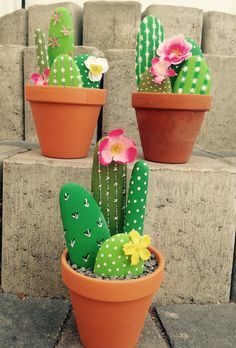 Then just add your decorations on top once you get to your destination (if you are using tall decor that sticks out of the tops of your jars, like the tombstones). 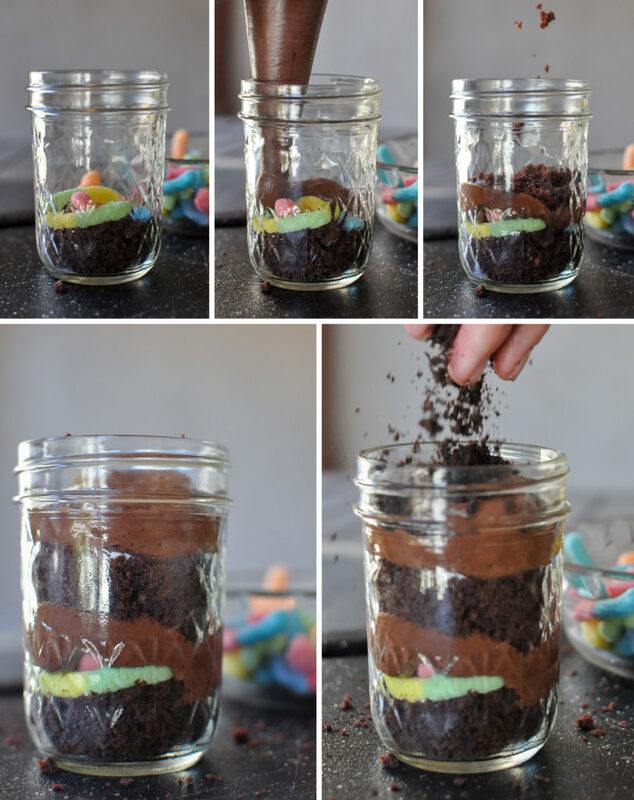 Alternatively you can lay some bones or gummy worms flat on top of the “dirt” and close the jars up so that whomever opens them gets a creepy crawly surprise! 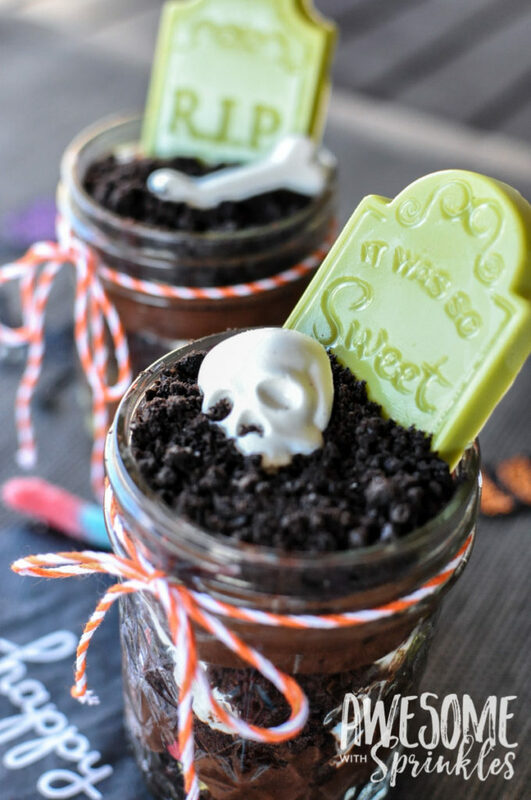 Dig your ways through layers of chocolate cake + creamy mousse for a spooky and sweet surprise in these Ghostly Graveyard Pudding Dirt Cups! First make your tombstones and bones. Start by melting your candy melts according to the package directions in a microwave safe bowl. 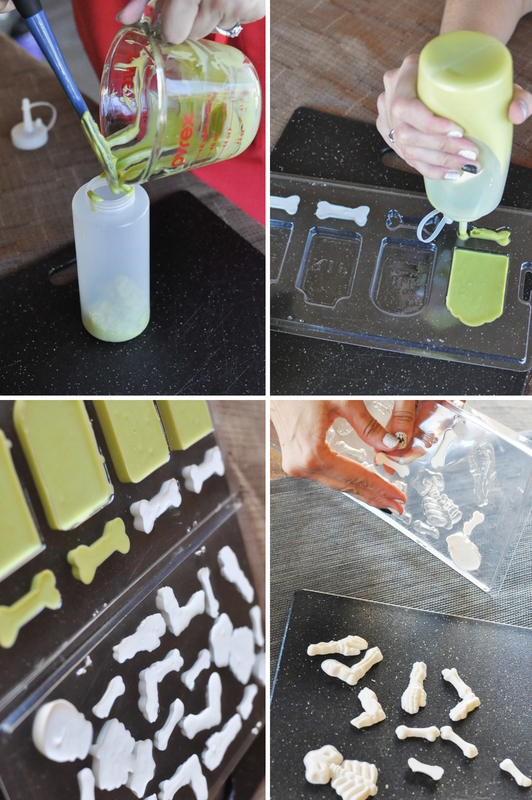 Transfer melted candy to plastic squeeze bottle (or use a piping bag or ziplock baggie with one end snipped off) to carefully pipe the melted candy into the mold. Tap the mold gently on a hard surface to get all of the air bubbles out. Move molds to the fridge to cool and harden (about 15-20 minutes). We made some skeleton bones and some tombstones! Once your candy molds are set, gently remove the candy from the molds by gently tapping on the back of the mold or carefully twisting the mold to allow the candy to pop out. 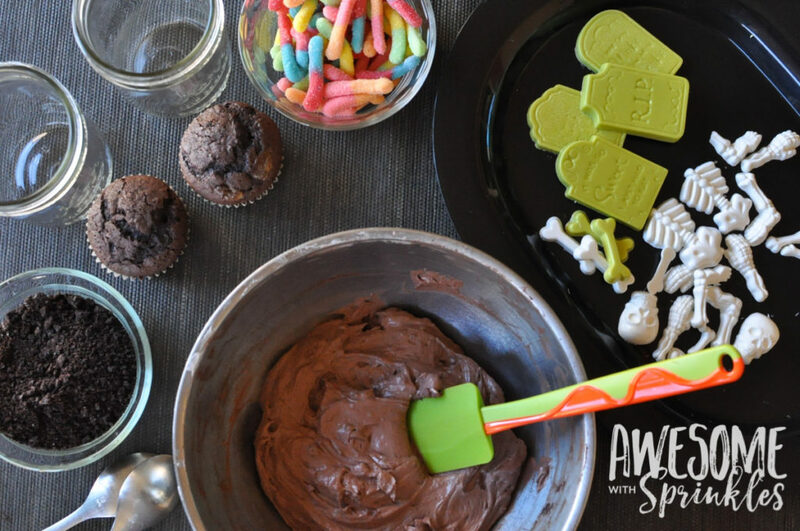 While your candy molds are cooling is a good time to make your pudding mousse filling. Whisk the package of pudding mix with 1 cup of cold milk, then fold in 1/2 of an 8oz container of Cool Whip. 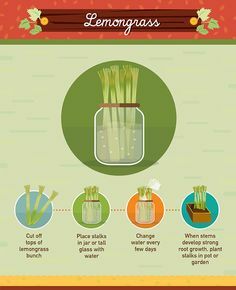 Allow to firm up in the fridge for about 10 minutes. Now for the fun part! This is where the kiddos can step in and help! 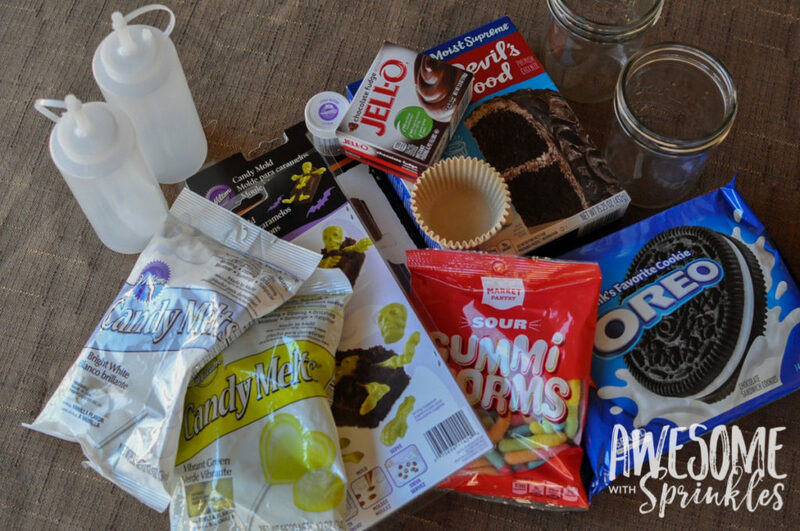 Start by cutting a cupcake in half and crumbling 1/2 of the cupcake into the bottom of a clean 8oz mason jar (or clear plastic dessert cup). 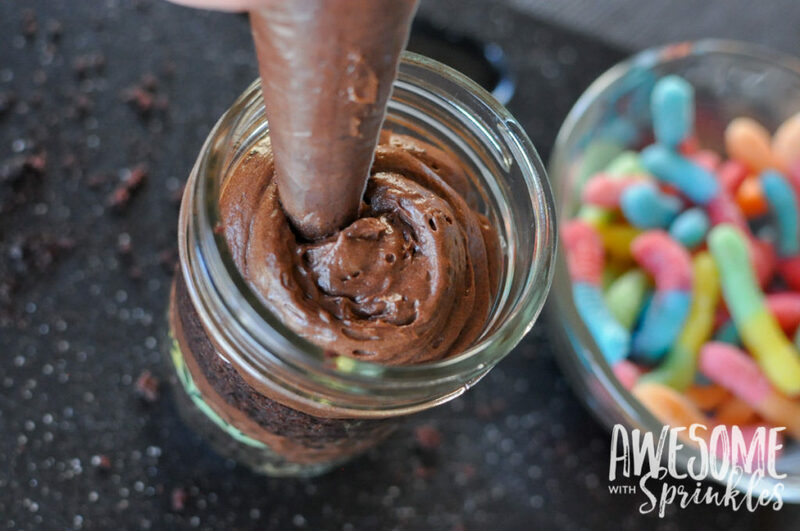 Toss in a few gummy worms or candy bones and top with a generous dollop of the chocolate mousse. 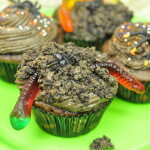 Then repeat with the second 1/2 of the cupcake, crumbled on top followed by more candies, and finally chocolate mousse. Sprinkle about 1/4 cup of the cookie crumbs on top of the last layer of mousse. 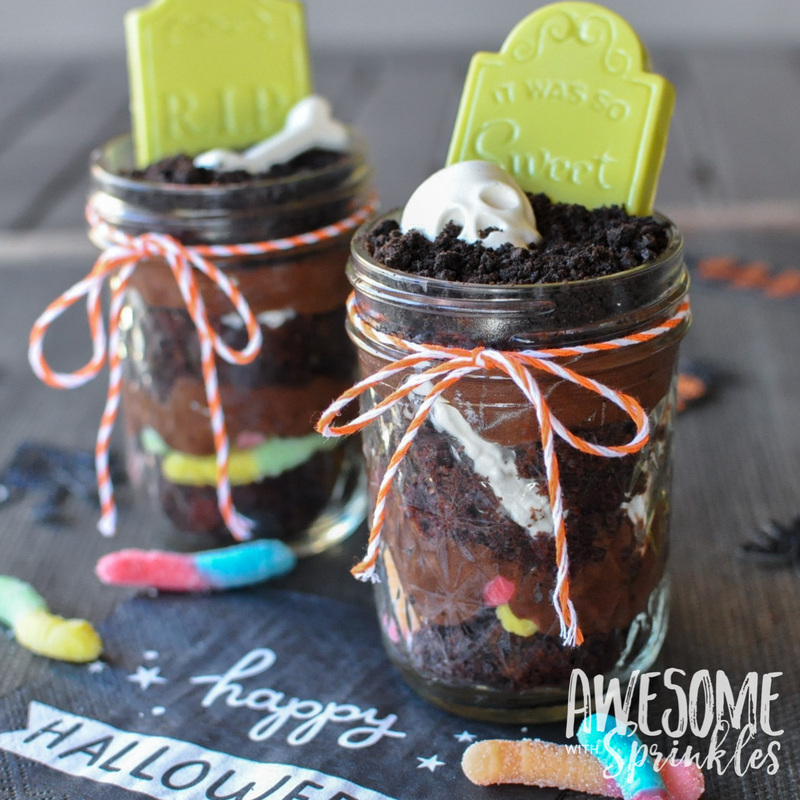 Top with candy tombstone decorations and some more bones or worms to complete the look! 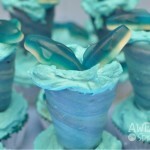 Sharknado Cupcakes make a splash for Shark Week!